Today I decided I should pick up photography. Not so much for the art of it, but to use as a tool for meeting new people, building friendships and engaging with communities. I saw how powerful having a camera in your hand can be on a recent trip to Seoul, South Korea, where we arrived in time for the city’s second Fashion Week of the year. What struck me at the event was how little engagement there was between photographers and models (I’m referring here to the informal shoots that were taking place among the huge crowds outside the event itself — between the casual photographers and the dressed-up cool kids who’d come to check things out and hopefully have their photo taken). They’d take a few photos, barely say a word to one another, then move on to the next one — all very cold and transactional. I was there with Fred, my business partner and fellow rookie photographer, who had brought along a DSLR he’d borrowed for the trip. He’s an outgoing guy, and with a camera in his hand, he flipped this whole dynamic on its head. Simply by talking, engaging and laughing, he turned what otherwise would be just one-off encounters into relationships and friendships. 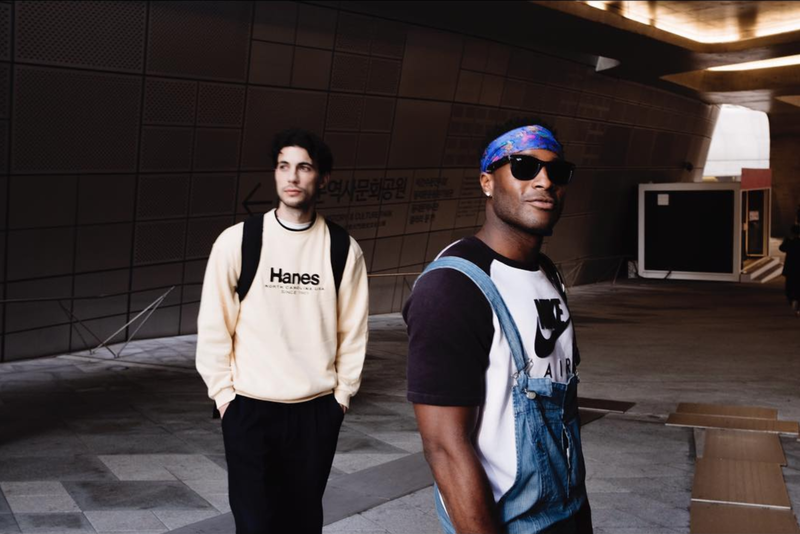 We left Korea with a whole phonebook full of contacts, and the beginnings of a network within Seoul’s fashion community. Fast-forward 2 months and our Seoul experience comes back to mind. Suddenly something clicks. “Maybe photography is what I’ve been looking for”, I think to myself. For a good while, I’ve been looking for better ways to integrate into Chinese society. For a variety of reasons, I’ve found it difficult to do so this time round, and I feel that’s really held back my progression on the language front. Now, I thought, perhaps I could use photography as a gateway into the communities that interest me, and as a new engine for my Chinese-language journey. With photography, the activity itself already has an active community built around it. And it’s one to which you can dive straight in, regardless of how bad you are with a camera. I remember newbie Caleb Salas coming back from an Instameet in Shanghai last year with a ton of new friends. Photography gave them both a reason to come together and a reason to meet again. Perhaps even more significant is that photography can act as an entry point into every single community/industry/group/thing that exists. What I learnt in Seoul was that, with a camera around your neck, you have an excuse to approach anybody. And if you can take a good photo of someone, or of something for them, you immediately have value to offer them. This effectively gives you a direct route into any community you want to become part of. So the way I see photography right now, is as a tool that can help you go immediately from stranger to friend, from outsider to insider. As well as one that can act as a source of alignment, a common thread with which to weave together your miscellany of interests. That’s the theory anyway, so what’s next? 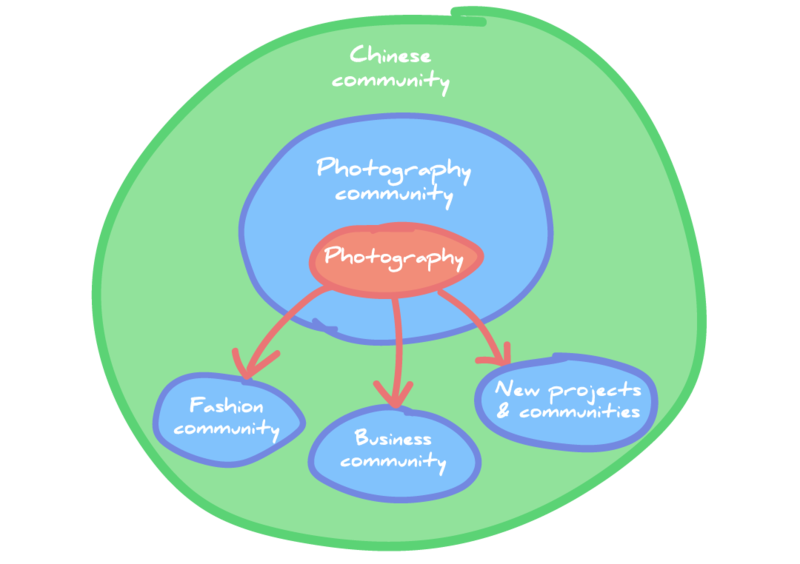 For me personally, I’d like photography to help me build stronger connections with China’s fashion and entrepreneur communities. I also expect it will open up new avenues for interesting projects and collaborations. Right now, I’m not much good with a camera in my hand. The last two times I used one I got shouted at by Fred and Ruoqiong respectively. In terms of the level I’d like to get to, I’m not aiming particularly high. The goal is simply to be able to take “good shots of people”. Luckily there is a DSLR sat here that doesn’t get used too much, so I can get started with that straight away. I’ll try and spend 30–60 minutes each or every few days out and about getting the hang of this thing & I’ll post shots from each shoot here as a record of progress. Question: Photography can act as an entry point into any other community. What other activities do you know of that also have this function? Follow my writing on Medium! Sign up for my newest writing and other updates!